Companies today have a common challenge: Addressing their growing business needs while building an agile, automated, and programmable data center. As a result, an increasing number of IT organizations are starting to adopt a Software-Defined architecture as a means of transforming their legacy data centers into an IT as a Service (ITaaS) model. Software-defined solutions started to gain traction in the beginning of this decade, and received a big boost with VMware’s over a billion-dollar acquisition of Nicira. In fact, the software-defined data center (SDDC) market is estimated to have crossed the $25 billion-dollar mark in 2016, and is expected to cross $80 billion by end of this decade. Why are most enterprises and mid-size companies looking to adopt it? Specifically, what are the advantages of SDDC for managing enterprise data? Depending upon who you talk to and when, the definition of a software-defined model may vary. But in simplified terms, SDDC decouples software from the underlining hardware and moves all the intelligence into the software layer, allowing users to eliminate dependency on proprietary, monolithic hardware. In other words, SDDC allows customers to easily manage their IT infrastructure via the software stack in an automated and programmable fashion. To address their ever-growing needs for agility, mega-scale vendors like Google, Amazon, and Facebook pioneered the software-defined model by separating the software layer from the underlying hardware. This paved the way for enterprises to follow suit and implement these tech giants’ best practices. In an effort to bring the benefits of a software-defined model to enterprises, some visionaries ventured into the network space and designed software defined network (SDN) solutions. 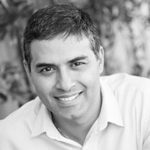 Meanwhile others – like Cohesity’s founder, Mohit Aron, the father of hyperconvergence – looked at ways to simplify storage infrastructure, with software defined storage (SDS). Mohit first co-founded Nutanix, which dramatically simplified the primary storage environment. Later, when he founded Cohesity, he took on a bigger challenge: Addressing the 80% of all enterprise data that is traditionally stored in multiple secondary storage silos. With my networking background, and now venturing into the storage space, I cannot help but see a bunch of parallels between the SDN and SDS. Historically, both network and the storage industries were dominated by legacy solutions that were engineered over a decade ago, and were not designed to handle today’s modern workloads and applications. Flexibility – Most software-defined solutions run on standard x86 architectures, which allows customers to select their own preferred hardware supply. IT administrators now have the flexibility to choose where to run their software. In the case of Cohesity, we can provide an integrated software+hardware solution, or our clients can choose to run our software on qualified Cisco UCS and HPE ProLine nodes. Cloud Readiness – By extension, SDDS can also run on-premises or in the cloud. Since most enterprises will adopt and use both forms of infrastructure, technology solutions that can flexibly operate across both their capitalized data centers, or cloud service providers, gives them the choice to optimize between lowest cost and most agile infrastructures. Simplicity – By eliminating silos, and consolidating workloads on a single platform, which is especially true for a software-defined secondary storage like Cohesity, customers can simplify their overall operations. Additionally, Cohesity consolidated manageability of the entire secondary storage from a single, easy to manage UI. Scalability – Coming out of mega-scale, solutions like Cohesity are designed to help customers start small with a pay-as you-grow model. This eliminates the need for overprovisioning and creating unnecessary silos down the road. • CapEx: Because most software-defined solutions run on x86 hardware, customers don’t need to overspend on proprietary hardware, which is usually 2x to 3x more expensive. • OpEx: Streamlining workflows due to a standardized and simplified infrastructure increases operational efficiency, which helps to reduce OpEx. Additional OpEx savings come in forms of eliminating expensive renewals. As outlined above, besides increasing choice and flexibility, an SDDC model increases operational efficiency for businesses, which directly impacts their top and bottom lines. In addition to technology operators and decision makers, executives across the organization will see a positive impact by adopting an SDDC architecture.